Microsoft is now seeding new cumulative update KB3194496 build 14393.222 for Windows 10 insider members users. The latest update KB3194496 will push Windows 10 1607 PC build from 14393.187 to build 14393.222. Recently, Microsoft released Mobile build 10.0.14393.221 for release preview members. 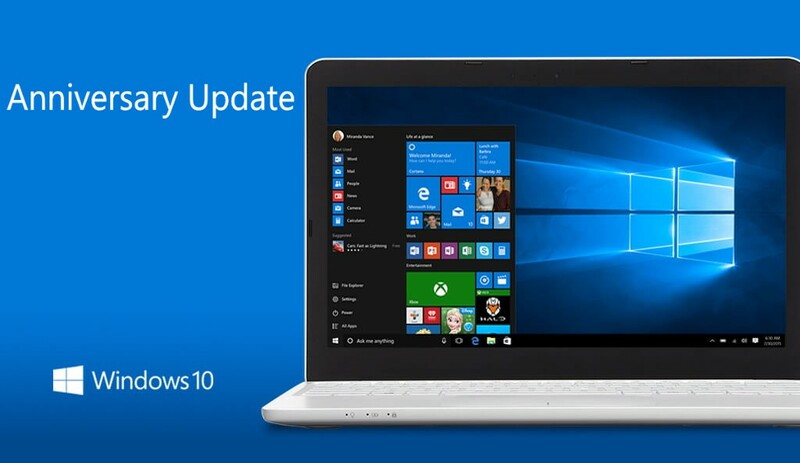 Build 14393.222 improves the reliability of the Windows Update Agent, shared drives, virtual private network (VPN), clustering, HTTP downloads, Internet Explorer 11, Hyper-V platform, multimedia playback, and Microsoft Edge. New update improves the performance of push and local notifications, Hyper-V platform, and some social media websites using Microsoft Edge. Build 14393.222 fixed an issue where mapping a drive from an elevated command prompt doesn’t work with administrator credentials. Build 14393.222 fixed an issue causing movies that were ripped using the transport stream (.ts) format to play without sound in Windows Media Player and the Xbox One Media Player app. Cumulative update KB3194496 fixed an issue causing the Movies & TV app on the Xbox to stop working when attempting to play content that was just purchased from the Store. Fixed the issue causing “Print all linked documents” to not work in Internet Explorer 11. Fixed an issue preventing some users from changing the default download location in Windows 10 Mobile. Build 14393.222 brings improvement to the reliability of downloading games (like Forza Horizon 3) and game updates from the Windows Store. Fixed additional issues with multimedia, Windows kernel, Windows shell, enterprise security, storage file system, Remote Desktop, core platform, Hyper-V platform, Windows Update for Business, display kernel, near field communication (NFC), input and composition, Bluetooth, Microsoft Lync 2010 compatibility, Windows Storage API, app registration, Trusted Platform Module, Group Policy, Internet Explorer 11, virtual private network (VPN), BitLocker, wireless networking, datacenter networking, Cortana, PowerShell, Active Directory, connection manager and data usage, Microsoft Edge, Windows Recovery Environment, file clustering, Universal Windows Platform (UWP) apps, audio playback settings, DShow Bridge, app compatibility, licensing, cloud infrastructure, domain name system (DNS) server, network controller, USB barcode reader, and Adobe Flash Player.